Free WiFi! Beautiful Beach! Large house. Property 61: Free WiFi! Beautiful Beach! Large house. 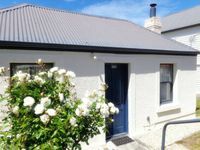 Property 71: Hobart Luxury & Sustainability - Have It All. Property 72: The Kings Own Inn -heritage inn. We were impressed as soon as we walked in. Was a fantastic home base for our visit. So warm and cosy, very clean and plenty space for the 3 of us, would easily suit a family, a few couples or group of friends. Beautiful view from the dining table, so relaxing. Also a large yard. Beds were so comfortable. Much nicer than motel and very reasonable price. Will stay there again. There is a big hill if you are on foot, but the rest of it made up for the hill. Wi-Fi would be good but we worked around that. Thanks.